For many, October is a time for fall activities, football, and Halloween decorations. For some, it is a chance to shed light on the pain and suffering endured by varying diseases susceptible to the lungs. October happens to be healthy lung month. Most often when considering lung diseases people think of lung cancer. While that particular type of cancer is the second most common cancer for both men and women, according to cancer.org, there are many other lung diseases that are still very relevant. Asthma causes wheezing, breathlessness, chest tightness, and coughing at night or early in the morning. The asthma symptoms present themselves as asthma attacks, although if you have the disease you have asthma all the time. Attacks only occur when something bothers your lungs. The most common asthma triggers are tobacco, smoke, dust mites, outdoor air pollution, cockroaches, pets, and mold. Asthma is one of the most common lung diseases that impacts children though it can persist into adulthood. Asthma medications come in two forms - quick relief and long term. The quick relief medicine is taken when an asthma attack occurs; while the long term control medicine ensures that there are fewer and milder attacks. There is no cure for asthma and it is unknown what causes the illness. 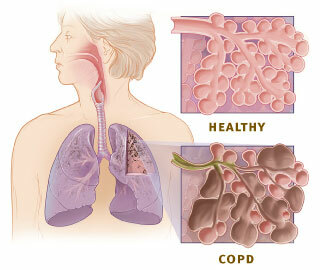 Chronic Obstructive Pulmonary Disease, or COPD, includes chronic bronchitis and emphysema. The disease is an umbrella term for progressive lung diseases. In 80 to 90 percent of cases the cause of the disease is smoking though it can be genetic. Second hand smoke, wood smoke and occupational dusts chemicals can also cause the disease. COPD develops slowly over time - most cases are not diagnosed until the patient is over 40 years old. The disease is commonly characterized by increasing breathlessness. COPD affects around 30 million individuals in the United States - half of those have symptoms of COPD and are unaware that they have the disease. Symptoms of the disease include frequent coughing, wheezing, and tightness in the chest. 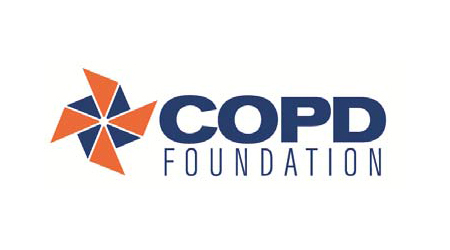 Those that feel they may have symptoms of COPD should seek a medical professional and ask for a spirometry test. The test is used to determine lung capacity by measuring how much air is inhaled, exhaled, and at what speed. 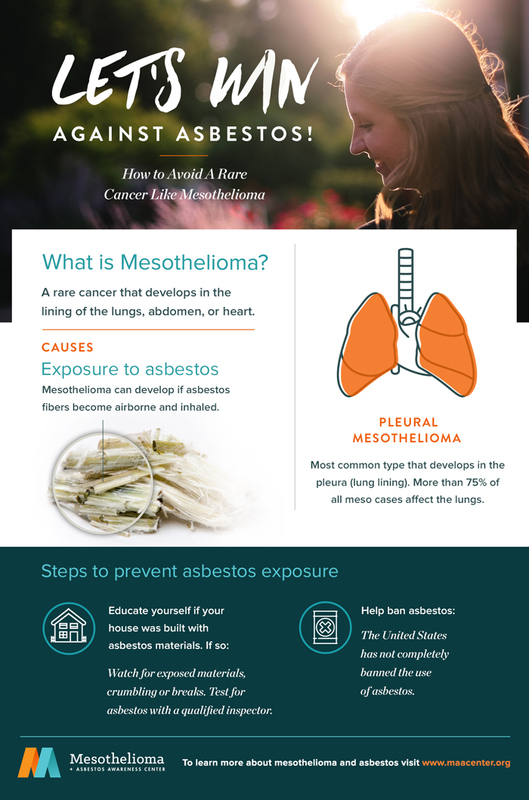 Mesothelioma, or Meso, is a rare form of cancer that develops in the lining of the organs. The cancer can develop in the lungs, heart, abdominal cavity and testicles. The most common form is pleural mesothelioma - which occurs in the lining of the lungs. The only known cause of the cancer is asbestos. 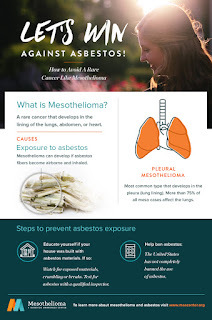 When asbestos dust is inhaled it embeds in the lining of the organs where the mesothelioma cancer develops. Pleural mesothelioma accounts for 80 to 90 percent of all diagnosed cases. The symptoms of the disease are specific to where the cancer develops, further complicating the diagnosis process. Most often the disease is misdiagnosed as pneumonia or the flu - an accurate diagnosis is often not reached until the cancer has progressed to the third or fourth stage. At this stage of the illness prognosis is poor - most patients live for 12 to 21 months following diagnosis. Though treatments are advancing, there is currently no cure for mesothelioma. Primary Ciliary Dyskinesia, more commonly known as PCD is a rare genetic condition. The disease impacts 1 of every 15,000 to 20,000 individuals worldwide. PCD is a genetic mutation that impacts the structure and function of cilia - hairlike structures that line the respiratory system dislodging mucus. PCD inhibits the cilia of accurately cleaning out inhaled particles from the lungs.Those with PCD can also develop chronic ear, sinus, pulmonary disease, reversed or flipped organs and fertility issues. PCD is passed from healthy parents to their children through DNA. Symptoms of PCD progress over time and are worsened by environmental factors - such as smoke. While these illnesses may not be eradicated by clean air environmental factors - such as the air quality - can impact the severity of symptoms and ease pain. A speck air monitoring system can empower you to take charge of your lung health. Many thanks to Rachel Lynch from the Mesothelioma Foundation for writing this post! Basic needs -- food, water, shelter, family, and good health are common essentials for survival and well-being. 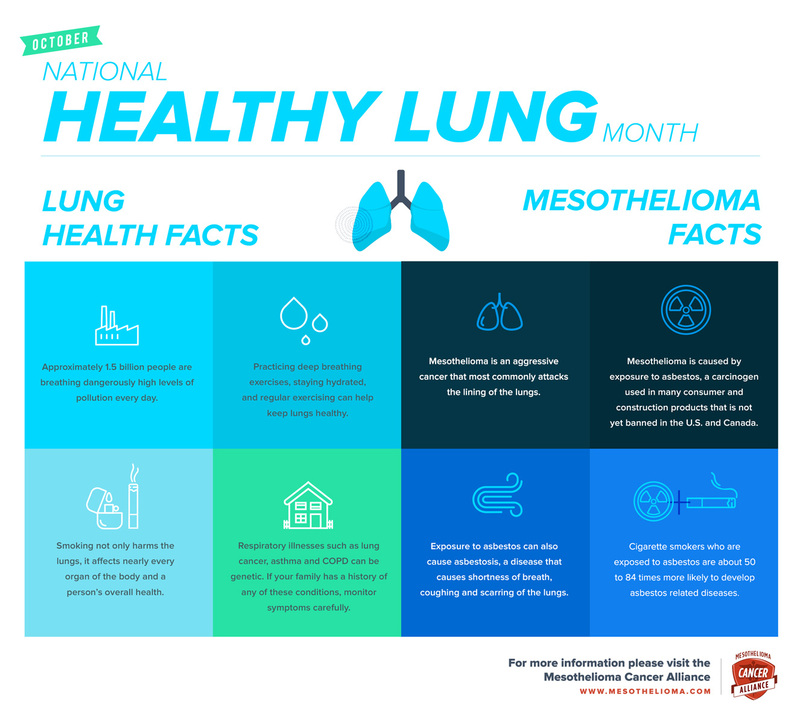 While expanding those necessities a bit this Clean Air and Breathe Easy month, we’re raising asbestos, particulate matter, dust and other air pollutant awareness to detail how and why air quality matters. Affecting billions of people globally every single day, air quality can often be the key to living your highest quality of life for the most number of years possible. On average, people living in developed countries spend roughly 90% of their time indoors, either at home or in the workplace. Being aware and able to improve the quality of the air you breathe from the comfort of your own home or workplace can significantly benefit your health and quality of life. Have you ever even heard of asbestos? Very resistant to chemicals, electricity and water, asbestos is a naturally occurring fibrous silicate mineral. Due to its malleability and other desirable physical properties, it has been used in building materials including roofs, tiles, wall boards, cables, even paints and much more, for many years. It was not until the 1960s that researchers identified asbestos-related illnesses and cancer such as mesothelioma - affecting the lungs, abdomen, heart or testes. In fact, exposure to asbestos is the only scientifically proven cause of mesothelioma, taking the lives of 3,000 people each year in the United States alone. But what does a mineral have to do with air quality and my health? 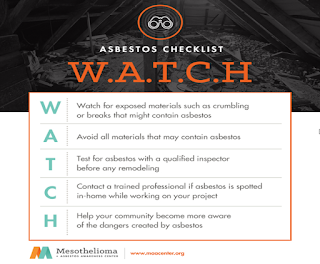 Because asbestos is fibrous in nature and used in products likely to crumble or flake such as insulation, roofing and more, there are a number of ways to become exposed to asbestos. Generally speaking if asbestos is undisturbed, it is not harmful. However, when asbestos fibers are disturbed, they can become airborne and when inhaled or ingested, the fibers can lodge in the lining of the heart, abdomen, lungs and other areas of the body, causing health effects up to 10-50 years later. Although asbestos is not used in new construction, it has yet to be banned in the United States today and if your home was built prior to 1980, it is possible that some building materials used to construct your home may contain asbestos. If you suspect asbestos in your home, do not sweep, use a fan or disturb the asbestos or the area you suspect that may contain asbestos. Have your home tested for asbestos and consider a Speck air quality sensor to stay informed of the changes and trends in your home’s air concentration. When it comes to the day to day, is particulate matter harmful? Yes. Mixtures of microscopic solids and liquid droplets suspended in the air make up harmful fine particle pollution. Those with heart or lung disease, especially older adults and children are considered at greater risk. Particulate matter can specifically aggravate diseases including coronary artery disease, congestive heart failure, asthma or chronic obstructive pulmonary disease (COPD). Any particles of matter, suspended in the are that are 2.5 micrometers in diameter, or smaller, (thirty times smaller than the diameter of a single human hair) are classified as fine particles, which can cause or worsen heart and lung diseases. Due to their small size they can penetrate deep into the lungs, blocking air sacs where oxygen enters the bloodstream or attaching to lung tissue where their reactive surfaces can adversely affect lung tissue. Airborne chemicals that are toxic and reactive can attach to PM2.5 and enter your bloodstream. Where does particulate matter come from and how can I stay safe at home? Fine particles and particulate matter are produced by many sources including household activities such as cooking and cleaning. For example, gas and oil heating can release particulates. Pay attention to where furnace vents are or if you have an oil heater. Forced-air heating and air conditioning systems can be major sources of air pollution if the ductwork is dirty or if there are no filters in the system to filter out particles as they move throughout the house. Use HEPA filters with forced-air systems to improve indoor air quality. If you’ve caged up, cleaned or thrown away your dust bunnies this Spring, give yourself a pat on the back, but don’t stop there. Learn more about air quality monitoring and fine particulate matter in indoor environments, to truly breathe easy this Clean Air month and stay up to date on the latest news and air quality announcements, year-round by following our Speck Sensor Facebook page. Questions on how to dispose of asbestos? Mesothelioma.net can help! We often hear warnings about ozone action days or warnings for susceptible segments of the population to stay indoors if the air quality exceeds certain levels. So, what does it mean to be “susceptible”, or “at-risk population” or “sensitive population? Who belongs to these groups and why? In a review article entitled “Particulate Matter – Induced Health Effects: Who is susceptible?” researchers at the National Center for Environmental Assessment at the EPA located in the Research Triangle Park in North Carolina examined the epidemiological data acquired over the past two decades in an effort to explain and quantify susceptible populations. 6. Preexisting Diseases – By far, those persons with preexisting cardiovascular or respiratory disease form the largest segment of at-risk, susceptible populations. Persons with asthma or COPD exhibit increased adverse reactions to PM exposures as well as those with congestive heart failure or coronary artery disease or other cardiovascular diseases. http://ehp.niehs.nih.gov/wp-content/uploads/119/4/ehp.1002255.pdf and is well worth reading. It is also important to understand that our definition of susceptible populations is dynamic and evolving. And, more importantly, as the authors also stress, adverse reactions to PM exposure is not relegated to these susceptible groups. Given certain circumstances and conditions, even the healthiest of those among us can be affected with the real message being to minimize PM exposures for a longer, healthier life.